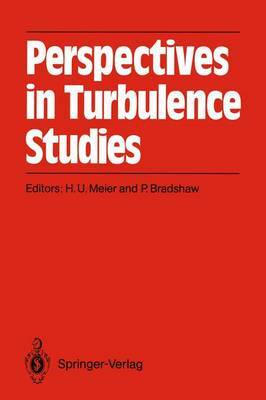 The present volume entitled "Perspectives in Turbulence Stud- ies" is dedicated to Dr. Ing. E. h. Julius C. Rotta in honour of his 75th birthday. J. C. Rotta, born on January 1, 1912, started his outstanding career in an unusual way, namely in a drawing office (1928 - 1931). At the same time he - as a purely self taught perso- took a correspondence course in airplane construction. From 1934 to 1945 he worked in the aircraft industry on different subjects in the fields of flight mechanics, structures, air- craft design, and aerodynamics. In 1945 he moved to Gottingen and worked from that time at the Aerodynamische Versuchsanstalt (AVA, now DFVLR) and the Max-Planck-Institut fur Stromungsforschung (1947-1958), interrupted only by a stay in the U. S. at the Glenn L. Martin Company (1954 - 1955) and a visiting professorship at the Laval University in Quebec, Canada (1956). Already during his activities in industry, Dr. Rotta discovered his special liking for aerodynamics. In Gottingen, he was attracted by Ludwig Prandtl's discussions about problems associated with turbulence and in particular his new contribution to fully developed turbulence, published in 1945. At that time, W. Heisenberg and C. F. v. Weizacker pub- lished their results on the energy spectra of isotropic turbu- lence at large wave numbers. Since that time his main research interest in reasearch has been in turbulence problems.